There are many different kinds of misdemeanor crimes, and most of them carry serious penalties that can include fines, jail time, or other punishments. In Kitsap County, common misdemeanor crimes include DUI, public intoxication, shoplifting, and trespassing, among others. Convictions for any of these crimes may have a lasting effect on your life. Our Kitsap County misdemeanor attorneys service both Bremerton and Port Orchard, so if you're facing a criminal charge now is the time to get professional help. 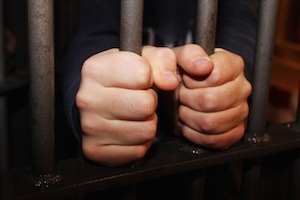 The Bremerton misdemeanor lawyers at the Washington Family Law Group are ready to help you prepare a defense and take steps to keep you out of jail. Our legal team routinely handles misdemeanor cases involving, vandalism, domestic violence, assault, indecent exposure, and driving under the influence. We understand that every misdemeanor case is important to our clients, so we do everything the law allows to successfully resolve each case. Misdemeanor – Up to 90 days in jail and up to $1,000 in fines. Gross misdemeanor – Up to 364 days in jail and up to $5,000 in fines. Other penalties may be imposed by a judge if you're convicted of a misdemeanor crime in Bremerton or Port Orchard. For example, a DUI conviction could result in a driver's license suspension, alcohol dependence counseling, or a requirement to install an ignition interlock system on your vehicle. The stakes are high with any criminal charge, so it makes sense to work with a Bremerton misdemeanor lawyer who will fight to protect your rights and minimize the punishments you face. For young people charged with a misdemeanor, a criminal record resulting from a minor crime can severely impact their opportunities in life. If you would like more information, contact one of our Port Orchard misdemeanor lawyers for a free consultation. Remember, every criminal charge is serious and demands swift action. Misdemeanor cases are heard in the Kitsap County District Court, which is located in Port Orchard. Their website states, “The Kitsap County District Court is a court of limited jurisdiction, and has jurisdiction over misdemeanors and gross misdemeanor crimes.” Before addressing the court, you should speak to one of our Bremerton misdemeanor lawyers so that they can explain your charges, and outline the penalties you're subject to. Our WA State lawyers are eager to hear your side of the story. Innocent people in Bremerton are sometimes charged with crimes they didn't commit, and it's our job to protect your legal rights from any unwarranted criminal charge. In these cases, we first seek to have the charges dropped, but if this proves impossible we are not afraid to take your case all the way to trial. Even when a client bears some responsibility for their crime, we seek legal methods to minimize punishments, keep them out of jail, or resolve the case in the best way possible. All of the best Kitsap County criminal attorneys will tell you the same thing – resolving a case takes hard work. Contact one of our Washington felony lawyers today and get the help you need to resolve your case. Our Bremerton misdemeanor lawyers are ready to help you better understand your charges. It all starts with a free evaluation of your case where you're free to ask questions and get answers from one of our experienced lawyers. With more than 50 years of collective experience, our Port Orchard misdemeanor attorneys understand how important it is to minimize the damage of any criminal conviction. We will aggressively pursue your interests and protect your Constitutional rights. No matter what type of misdemeanor charge you currently face, it's imperative that you handle the situation quickly. We are ready to take control of the situation and work diligently to resolve your case. Contact us today to get started.